Who was Vere Gordon Childe? A revolutionary in all senses of the word, Vere Gordon Childe (1892-1957) pioneered radical new ways of thinking in archaeology and was, during his lifetime, the most cited Australian author in the world. A committed Marxist, he was placed under investigation by MI5 whilst a student at Oxford. After graduating he became fluent in several languages and published over 250 academic works spanning the prehistory of Europe, Asia and the Near East. In 1946, he was appointed director of the Institute of Archaeology, London. 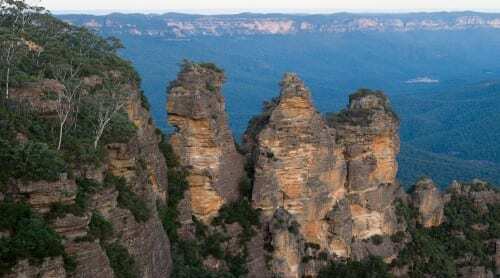 Upon his retirement in 1957, he returned to the Blue Mountains in Australia, where he ended his life. He remains the most widely read archaeologist of the 20th century. The renaming of the event signifies a revision of its overall aims. The lecture will now feature speakers able to take a broad view of their topic and make it interesting and relevant to both the general public as well as subject specialists. The addition of an accompanying seminar also offers an opportunity for extended discussion on the themes raised in the lecture. Undoubtedly, the updated aims and format of the event reflect the legacy of its namesake, V. Gordon Childe. But why? Born in Australia to middle-class parents of English descent, Vere Gordon Childe was home educated for several years before attending the Sydney Church of England Grammar School. He went on to gain his undergraduate degree in Classics at the University of Sydney, graduating in 1914. Shortly afterwards, he obtained a free, 3-year return ticket to England as part of a scheme designed to allow Australian students to study abroad. Childe secured a place at Oxford University and on the 11th September that year, he and four other students sailed from Sydney to Plymouth on the Orient Line’s SS Orsova. Childe became increasingly politicised whilst at Oxford, quickly emerging as a prominent labour activist and member of the Oxford University Fabian Society. He was not conscripted to fight in the First World War due to his poor eyesight, but opposed what he saw as a largely imperialist conflict on principle. His sympathy for conscientious objectors was viewed with suspicion by the British establishment. Files declassified in 2006 revealed that he was brought to the attention of the Home Office after he visited a friend who had been imprisoned for refusing to enlist. In a remarkable exchange of letters between Oxford University and the Home Office, the then Pro-Provost of Childe’s college, Edward Armstrong, belittled Childe but played down the idea that he represented any real danger to society. Armstrong was remorseful, however, that Childe’s promising academic career would likely be blighted by his ‘perverse’ political outlook. When Childe applied to the government for permission to travel back to Australia in 1917, official disdain turned to vindictiveness. He had planned to reach Australia via New York and San Francisco, where he would visit at the archaeological collections housed there. 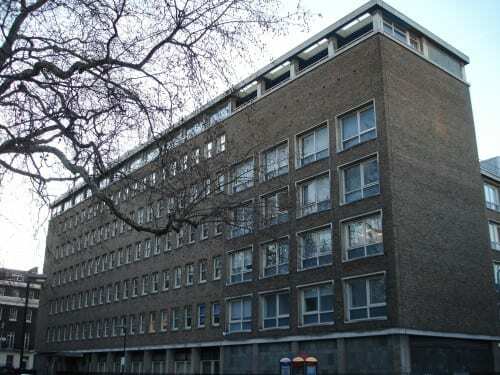 The Home Office only partially granted permission. He was instructed to take the “long sea route” directly to Australia, without stopping in the US. An official annotation on the passport application stated that he “may prefer” this longer route as he had “expressed himself in favour of the German submarine campaign” (Champion 2009: 28). Whilst Childe’s avowedly Marxist perspective did not earn him many friends in high places, it undoubtedly went on to shape his understanding of archaeological remains and in particular, the people that produced them. In his earlier work he stressed the importance of building alternative prehistoric narratives to those espoused by his predecessors, which he argued essentially rested on the outcomes of perceived ancient political imperial wars. Accordingly, he imported the German notion of archaeological ‘cultures’ into British archaeology. 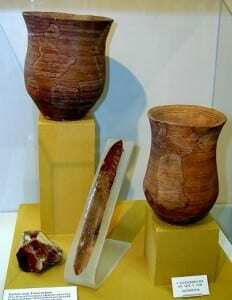 These ancient ‘cultures’, Childe argued, each produced their own style of pottery and tools. Thus, the ancient lands of these peoples could be identified wherever the same kind of artifacts were found deposited together. For Childe, telling the story of how and where these groups decided to live constituted the bulk of European prehistory. In later works he adopted a more explicitly materialist stance, stating that “the economy … [was] the integrating force in society” (Childe 1958: 72). Through later editions of The Dawn of European Civilization (1925), Childe demonstrated his ability to construct compelling narratives about the socio-economic development of human society at a continental scale. In particular, he studied the impact of the Agricultural and Urban ‘revolutions’ on prehistoric societies in the Near East and Europe. In this way, he was one of the few archaeologists of his generation to understand that a complete jigsaw – however crudely fitted together – is more evocative than any description of a single piece. 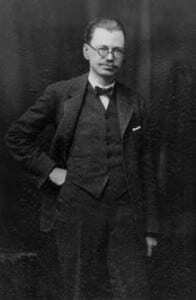 In 1927, Childe took up the newly created position of Abercromby Professor of Archaeology at the University of Edinburgh. Seven years later, he co-founded The Prehistoric Society with Stuart Piggott and Grahame Clark. As the organisation’s first president, he took an active role in making the organisation truly national. In 1946 he became director of the Institute of Archaeology, a position he held until his retirement in 1957. Childe had written over 250 publications by the end of his career. He produced a truly a vast corpus comprising many books, excavation reports, articles and monographs. As Trigger (1994: 9) has noted, his writings were translated into many languages and thus made a global impact. This fact alone set him apart from his contemporaries. He possessed a multi-faceted international profile; in Europe, he was the leading authority on prehistoric culture-history, in the US he was recognised as a founding father of cultural evolution, whilst in Latin America he was seen as the foremost exponent of a Marxist approach to archaeology. It is for this ‘reframing’ of the archaeological record that V. Gordon Childe will ultimately be remembered. His ability to locate, interrogate and retain evidence, however, enabled him to undertake this process and to ultimately become (unofficially) known as ‘the great synthesiser’. It is perhaps for his exceptional ability to tell the story of the past, to “make order out of archaeological chaos” (Flannery 1994: 109–10) that his name is now attached to the Institute of Archaeology’s annual event. We look forward to many more distinguished syntheses. Champion, T. 2009. Childe and Oxford European Journal of Archaeology 12: 11–33. Childe, V.G. 1958. Retrospect Antiquity 32: 69–74. Flannery, K. 1994. Childe the evolutionist The Archaeology of VG Childe: Comparative Perspectives, 101–19. Trigger, B.G. 1994. Childe’s Relevance to the 1990s The Archaeology of V. Gordon Childe: Contemporary Perspectives, 9–27. 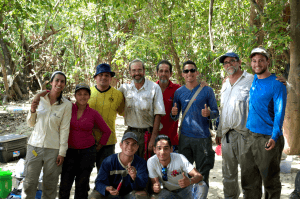 Dear all, I am happy to say that our team (PIs José Oliver, Franz Scaramelli, Institute PhD student Natalia Lozada Mendieta, and myself) have returned from a truly memorable season of fieldwork in the heart of Venezuela. This is a short update on our many activities. We arrived in Puerto Ayacucho on the 29th of January, after travelling cross-country from Caracas through the central plains of Venezuela (the Llanos), and promptly set about assembling our kit and crew for the coming weeks. We were very fortunate to count on a crack team of local lads to help us out, some of whom we had worked with before in 2015, and who really are the true heroes of this research. Our first impression of the Atures Rapids this year was how much they had changed since our last visit during the height of the wet season. Previously unnavigable, roiling cauldrons of water had turned into little trickles, the depth of the river reduced by some four metres or more. Individual islands had become connected archipelagos, or in some cases peninsulas, stretching into the middle course of the Orinoco River. A dramatic and abrupt alteration of topography that is rarely seen in Europe. Within this landscape of granite inselbergs, gallery forests, and rushing water is a rich post- and pre-Columbian archaeological record waiting to be uncovered. Our main target this season, Isla Picure, is one of the largest islands in the Rapids, and can be considered a single, massive archaeological deposit from its surface archaeology alone. Its shores also host some of the most impressive and diverse engraved rock art in the region, as well as an extensive series of stone axe polishers and mortars carved directly into the bedrock. We spent many long days working on the island and several peaceful nights camping in hammocks under the stars. Our excavations offered many happy surprises, yielding a full sequence of ceramic styles for Natalia to begin defining the occupation of the island, which includes some of the most ancient pottery dcoumented in the Orinoco (known as the Barrancoid series, after the lower Orinoco site of Barrancas). Another key class of artefact encountered were beads in exotic stones, many of which broke in the manufacturing process or were simply unfinished upon their entry into the material record. 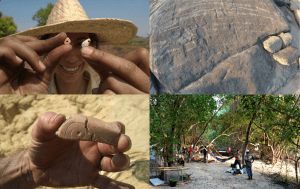 This type of evidence, together with the stylistic comparison of ceramics and rock art, will be crucial in helping the project locate the Atures Rapids within their (supra-)regional network through time and space.